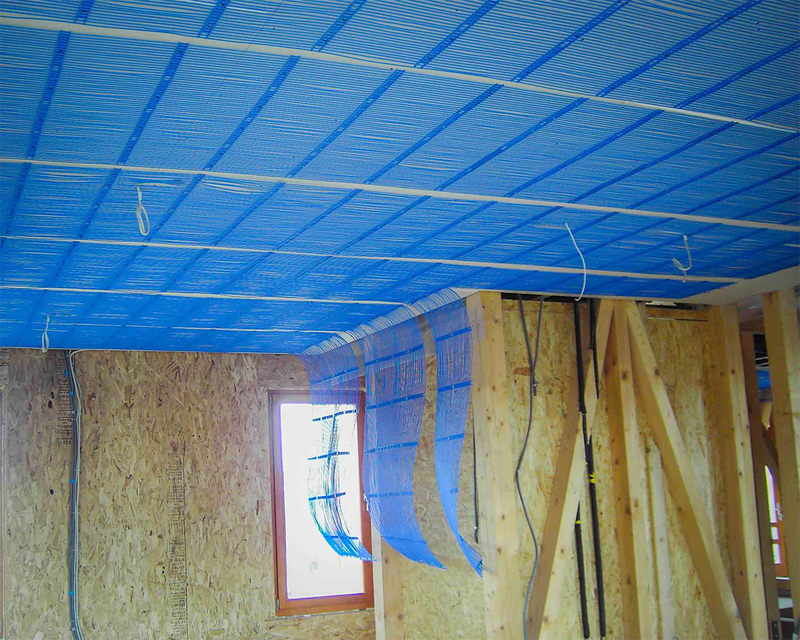 Heating and cooling with walls is the most efficient and most performant solution, because instead of air, the system is using water for the transfer of energy. The volume of water in the capillary tubes is very small (0,3 liter/sqm). The efficiency of operation with water is 4 times higher than the efficiency of heating/cooling systems with air. Because of thin mats, there is a very economical solution, not only due to economy of space, but because of high energy efficiency radiation. 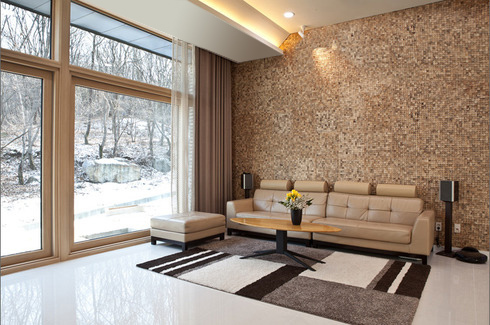 Thickness of mats is 5 mm, maximal thickness of the finishing -including the mats mounted on walls- is less than 1 cm. Maximal heating temperatures are 37ºC, cooling water temperatures are 17ºC, with a value of dT 2ºC. 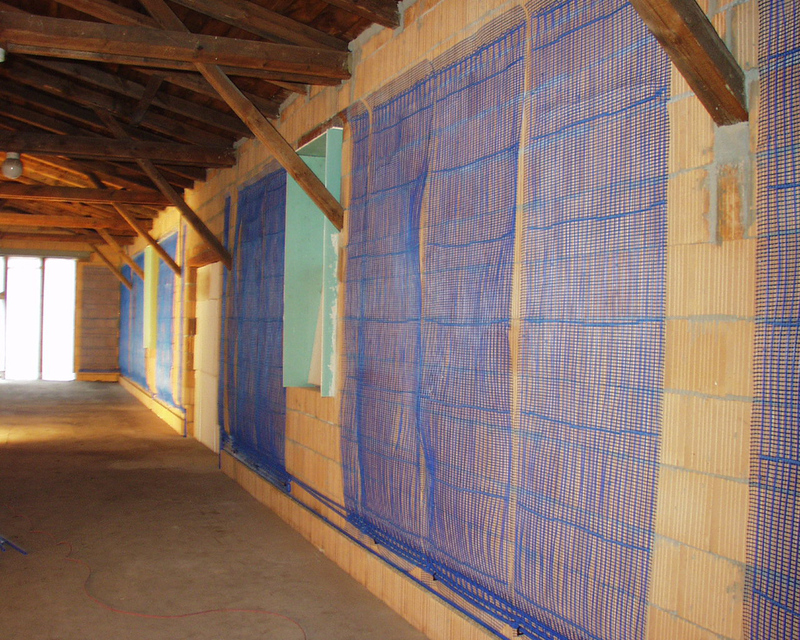 The integration of capillary tube mats in walls of different construction type is a worthy alternative to conventional heating systems – for several reasons. Besides the very high capacity at low water temperatures and the dynamic behaviour on heating up and cooling down, the system can boast a high degree of flexibility at very low installation depth, meaning it is possible to have a broad array of invisible fixtures and fittings at a later date. 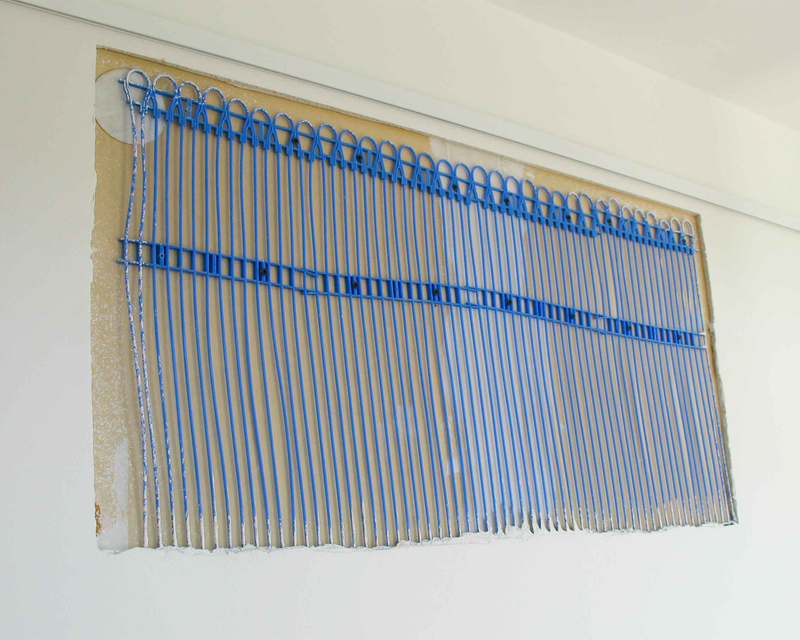 This means capillary tube mat wall heating is extremely well suited for building refurbishment. Another major plus point is the high degree of convenience with which the activated wall surfaces can be used to cool in the summer months. The cooling energy required can frequently be extracted virtually free-of-charge from the environment using intelligent systems such as capillary tube mat ground collectors located in the ground, etc.